(Bloomberg) -- Mark Bristow’s tenure as boss of the world’s biggest gold miner might have been short-lived, but his message for smaller rivals just got even more pointed. South African gold miner AngloGold Ashanti Ltd. will maintain its position as the third-biggest producer even after the latest deals, but is increasingly dwarfed by its beefed-up rivals. 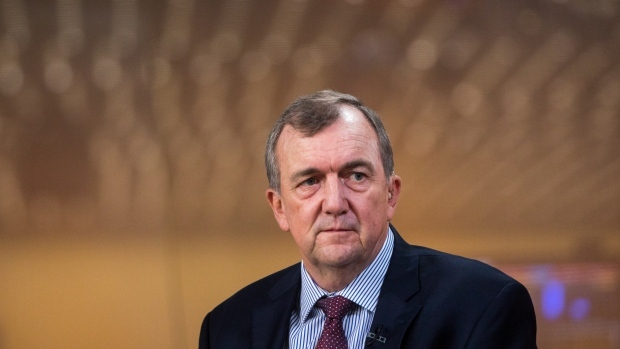 AngloGold is considering listing its shares in either London or Toronto in a move that could see the company hive off its remaining South African operations, Bloomberg reported last month. Part of the lure of London, which it is said to favor, is filling the gap left by Randgold. Moving out of South Africa would allow it to focus on the remaining operations that span Africa, Australia and South America and -- potentially -- look at snapping up additional assets. Australia’s Newcrest Mining Ltd. has been repeatedly touted as a potential target for either Newmont or Goldcorp. That opportunity seems to have passed, at least for now, and the company that mines in Eastern Hemisphere countries including Australia, Papua New Guinea and Indonesia looks like it’s stuck on the periphery for a while. It’s a similar story for Kinross Gold Corp., which has struggled in the last year as the company was caught up in a tide of resource nationalism in parts of Africa. It has also come under fire from a shareholders’ gold council for executives not owning enough shares -- a criticism it’s flatly refuted. --With assistance from Danielle Bochove and Elena Mazneva.